This is a partial preview. Full document is 32 slides. View large preview. The Business Case is an instrumental tool in both justifying a project (requiring a capital budgeting decision), as well as measuring the project's success. The Business Case model typically takes the form of an Excel spreadsheet and quantifies the financial components of the project, projecting key metrics for making any important business decision: e.g. Net Present Value (NPV), Return on Investment (ROI), Payback Period, Cost of Investment. If a project has been justified by the Business Case (both financially and non-financially) and receives the go-ahead from executives, the Business Case model is then continuously maintained and adjusted to track the project's progress against the initial financial projections and assumptions. This model then becomes a working document used during the project management process. 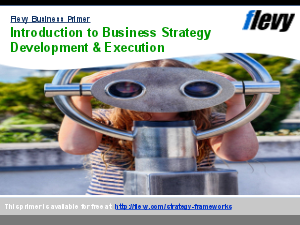 This toolkit will detail the process of creating a robust Business Case. It also includes a working sample Business Case model (in Microsoft Excel). Business Case Development? Financial Modeling? Channel Distribution Strategy Example? Or something else.